That’s right, I’m talking to you. You’ve got a secret. Maybe your spouse, a close friend or a sibling knows. But I bet almost nobody else does. There is something you so want to do. You can feel it. It’s like a sliver you’ve had under your finger for years. Early on, it was hard to even put into words. It was something you just felt. I’m talking about the unspeakable thing. The unspeakable thing is that special passion that can keep you up at night. It’s what you do (or dream about doing) when nobody is looking. It’s what you really wanted to be when you grew up, not what you told your parents or teachers you wanted to be. The unspeakable thing is the firefighter, painter, actor, vagabond or veterinarian. It’s you. Most of us have forgotten what our thing is. Or we have buried it beneath a 401(k) plan, good dental coverage and other virtues of the modern world. And that’s fine. I’m not here to shame or blame you. All I want is to encourage you to figure out what your thing is and start dancing with it a little bit. I’m not saying that it’s time to quit your day job or uproot your family. I’m just telling you to stop hiding. Start making a conscious effort to engage with your thing a little bit at a time. It’s O.K. if you don’t know exactly what your thing is yet. That’s part of the process. That’s why it’s the unspeakable thing. Start today. No more hiding. Every good piece of art, revolutionary technology or high-impact idea was at some point just a thing that somebody had trouble putting into words. 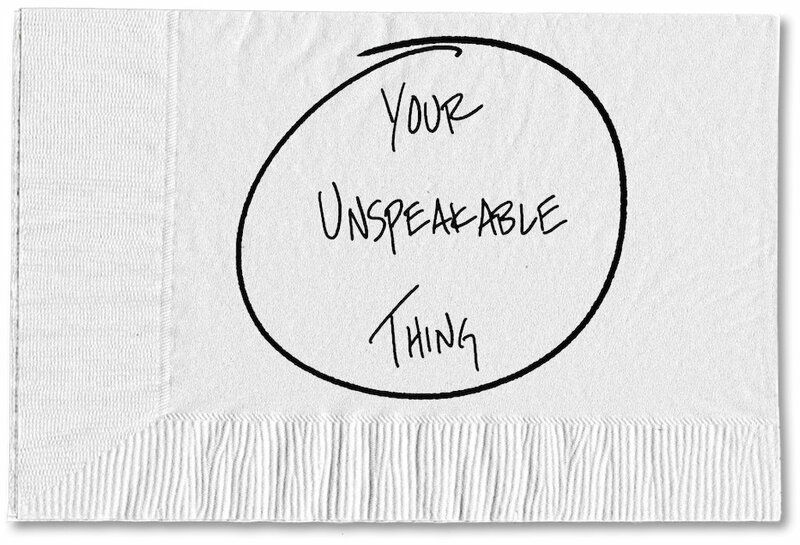 Think of your unspeakable thing as the seed. What comes from that seed is the stuff that can change the world — and will certainly change your own. 0 responses on "Featured Blog: This Is About the Thing You Want to Do Most but Won’t Talk About"